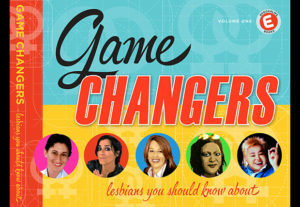 Game Changers: Lesbians You Should Know About is a richly-designed and important book about lesbians who have made significant contributions to LGBTQ culture over the past 30 years. I’m creating this book as a resource for students as a result of The FAIR Act, a recent law which requires the inclusion of LGBT History and Social Studies in the California public school curriculum. Copies of this book will be donated to libraries and schools throughout the Bay Area. “Music is my whole life. 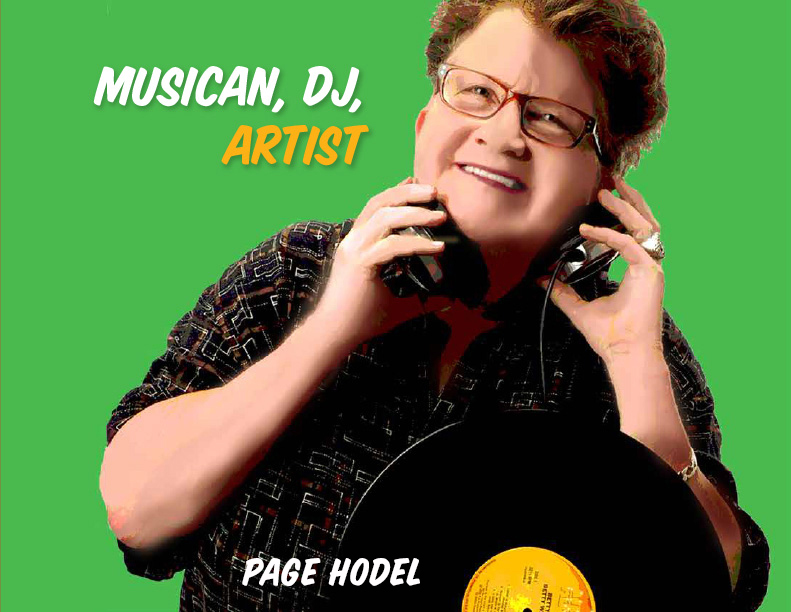 It has always been—from the first time I put the two little plastic speakers of my new record player on the floor, laid down and put my head between them, closed my eyes and let music take me to heaven. I have been chasing that heaven all my life. One Saturday afternoon I was driving down Harrison Street in San Francisco. I saw a small child, an infant in diapers and no shirt running down the street on the sidewalk unattended. As I drove by I realized he was screaming and crying. I slammed on my breaks and jumped out of my car and ran to catch him. I could see he was running straight for the intersection and I knew he was to small to know what a car was, much less a traffic light or crosswalk. He was heading towards his imminent doom. I swooped him up in my arms and he was inconsolably screaming and crying. He didn’t try to get away, but was just absolutely berserk with fear and terror. I looked everywhere but there were NO parents anywhere to be found. I just held him close, speaking in a soft warm voice right into his little ear saying “everything’s going to be all right.” —trying to soften his energy with the softness of my voice. Slowly he began to calm down. His breathing became slower and slower. He began to breath normally. I soon realized he did not speak English. (I found out later he was Polish) he was clearly pre-speech so we only had soft sounds to express anything, anyway. His muscles began to soften and he leaned his head on my shoulder and started to cling to me. My heart just cracked open. I went around the neighborhood and no one knew him so I stopped at the closest corner store and called the police. As we waited for them to arrive he was completely snuggled into the nape of my neck. I decided to softly sing in his ear. Just soft sweet melodies. No words just humming soft little melodies…and he started to softly sing back to me in my ear. He was sort of copying my little songs. And we just sat there in this amazing little tiny galaxy of sweet song. I literally melted on the floor at the amazing power of music to completely HEAL the situation, even the most acute horrific experience of terror. Although we couldn’t communicate with words but only with music (because he was so small) we exchanged this very sweet pure sweet kindness. Its the potential of humanity to give and receive through music.